Yasmeen Anya Benton is a creative and innovative contributor to her community. 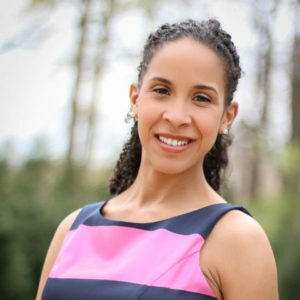 Born and raised in the Crown Heights neighborhood of Brooklyn, NY, she has managed to evolve during a short time period as an ambassador for the communities she serves. She is a 2004 graduate from the prestigious Stuyvesant High School located in New York City. There she was selected to be a POSSE Foundation scholar to attend Trinity College in Hartford, CT on a full scholarship. She earned a Bachelor of Arts in Theatre and Dance in 2008. Yasmeen has studied most genres of dance at a professional level and has performed with a few notable choreographers and companies such as choreographer Arthur Aviles of New York City and the Malick Folk Performing Company in Trinidad and Tobago. Yasmeen worked as Program Manager of the Berean Community and Family Life Center in Crown Heights, Brooklyn, NY from 2009 to 2012. During her tenure, she conceptualized and conducted various programs that emphasized the health and wellbeing of members of the community. She also fostered valuable relationships with other community organizations in an effort to facilitate collaborative projects. Among all of the programs provided by the Center, Yasmeen was most involved with the Berean Community Drumline as both manager and dance instructor. The program provides adolescents with regular physical activity, professional percussion and dance instruction, and the opportunity to express their talents throughout the community. Her devotion to building community and providing accessible programming to underserved populations encouraged her to pursue another degree. Yasmeen attained a Master of Professional Studies degree in Arts and Cultural Management at Pratt Institute in New York City in 2012. There, she synthesized her knowledge of non-profit fundraising, management communication, leadership and team building. In 2014, Yasmeen relocated to Raleigh, NC. Utilizing her prior non-profit expertise, she served as a consultant in establishing the Berean Community Center, Inc. She was hired as the organization’s first Executive Director in October of 2015. Yasmeen married her best friend, Rev. Byron L. Benton, in October 2012. Together they have two beautiful daughters, Arianna Brielle and Mayara Marie.